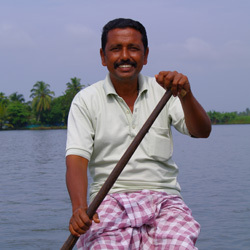 Kerala canoe is a covered wooden boat. The cover will provide you with shade during the day when it can get hot. You will guide by our boatman who will paddle the boat. You are welcome to join in with paddling. 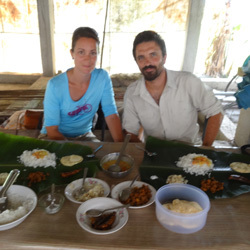 The hourly tour starts from the town so it cannot go much deeper to the backwaters.